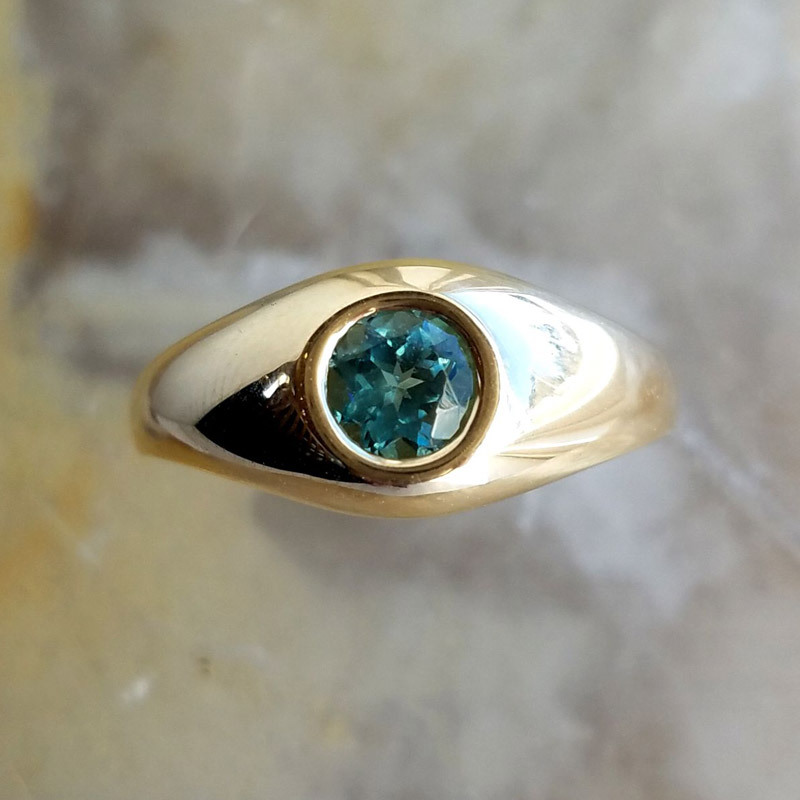 Estate unisex 14k yellow gold ring with bezel set Maine Tourmaline. 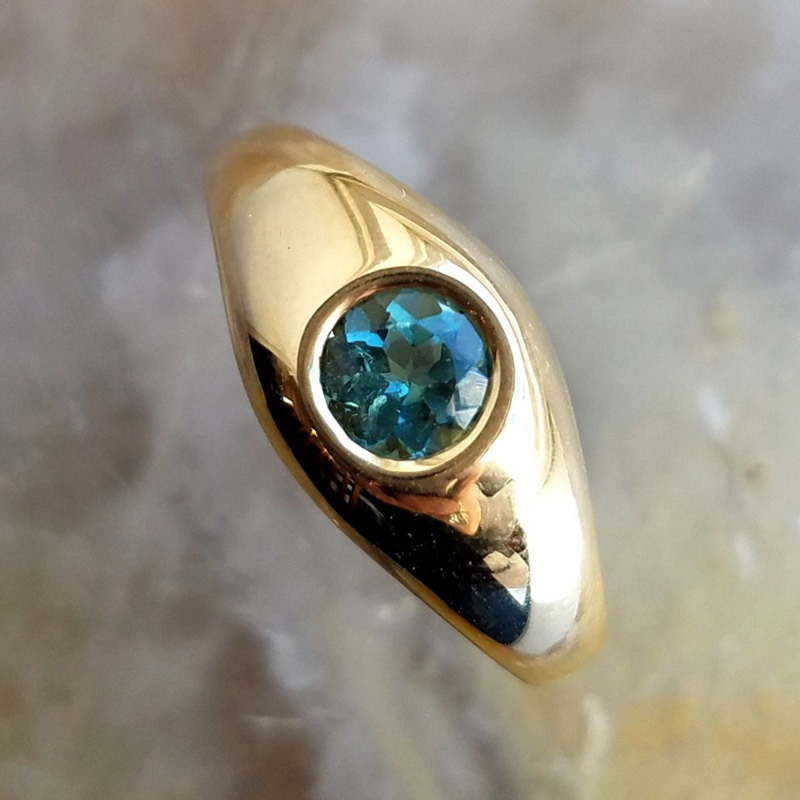 Light teal round brilliant cut tourmaline is approx. 6mm with estimated weight of .80ct. Hallmark: 14k. 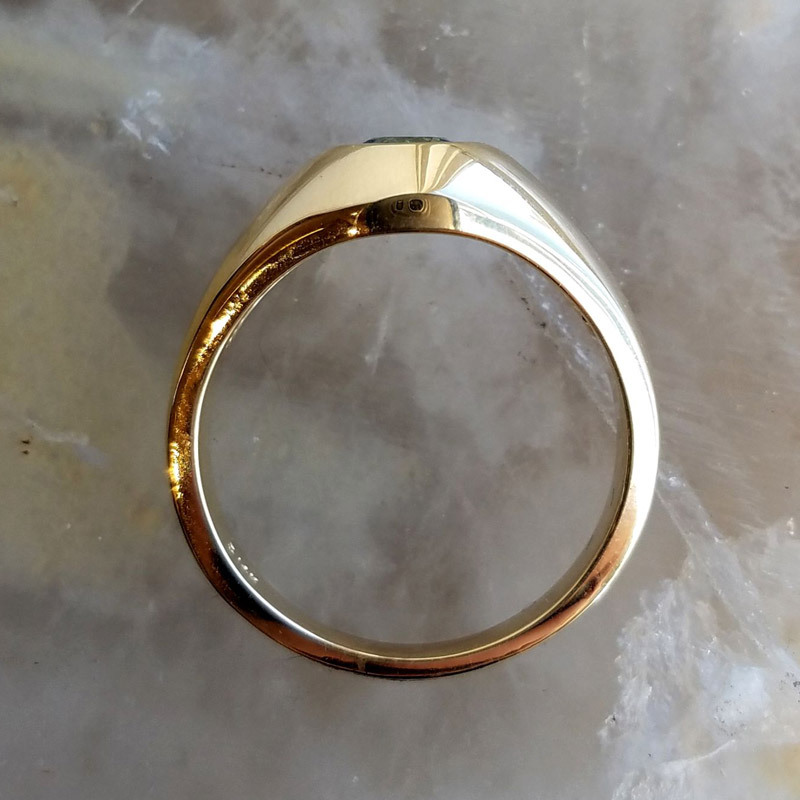 Weight of the ring is 6.3g. The ring is currently size 10, can be resized no more than couple of size up or down, please inquire.